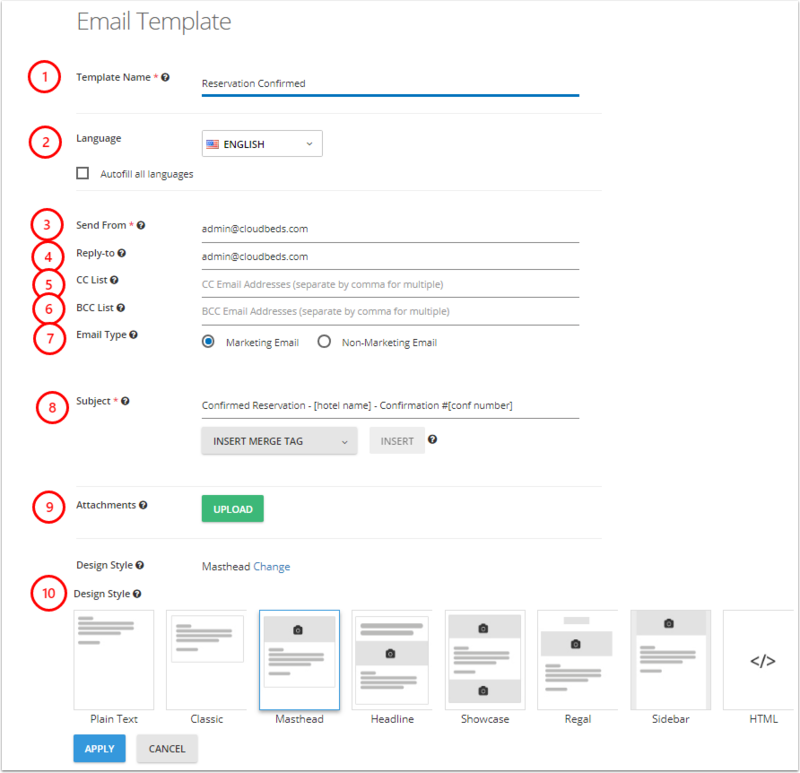 On 'Email Templates' page you may create and customize the email templates that you can later use to send to guests as well as edit the emails created in the system by default. You can schedule these emails to be sent by the system based on a certain criteria from the "Email Scheduling" page. IMPORTANT: These email templates can be edited (see section 'Editing Email Templates' below) but they can not be disabled, deleted and scheduled. If you need to schedule a certain email type - you would need to create a custom email template and schedule it. By default reservation folio contains merge tag [table] which autopopulates reservation rates, deposit, sub-total etc. You can also create your own email templates and use the merge tags to populate data to them automatically. Custom emails can be sent manually from reservation and also scheduled. Learn more about how to schedule a specific email in our Knowledge Base. 1. Template Name: Specify the name for the template here. This is used for you to determine what the template is for. It will not be visible anywhere publicly. 2. Selecting template language: you may select the language from the drop down menu given and enter text so that the guests from specific countries will receive text in corresponding language. If you need to edit or add some text to the particular template after all languages were autofilled you should uncheck the autofill option and edit the needed template. When you enable autofill option again all languages will be autofilled with the information you have in English template. 7. Is Marketing (only for properties who enabled GDPR Compliance): If GDPR Compliance is enabled, every Email Template will have a required radio button specifying whether email is marketing related. Templates flagged as marketing emails will only be sent to guests who opt in to marketing materials. 8. Subject: Text that will appear as the subject of the email. To add dynamic content such as the name of the guest or phone number, use the "Insert Merge Tag" picklist. 9. Attachments: Upload any attachments you would like to be included whenever this email template is sent. 11. Editing and customizing email template has the new interface. 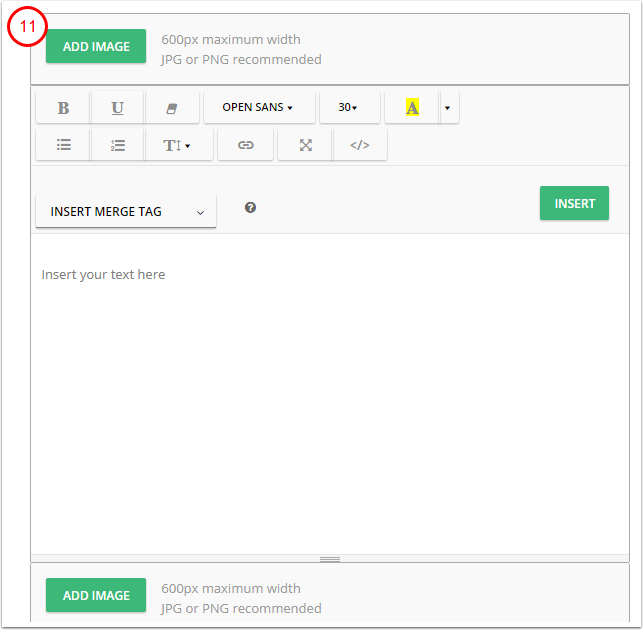 Here you may add text with customize text, upload header, footer and merge tags (to learn more please check the section below). 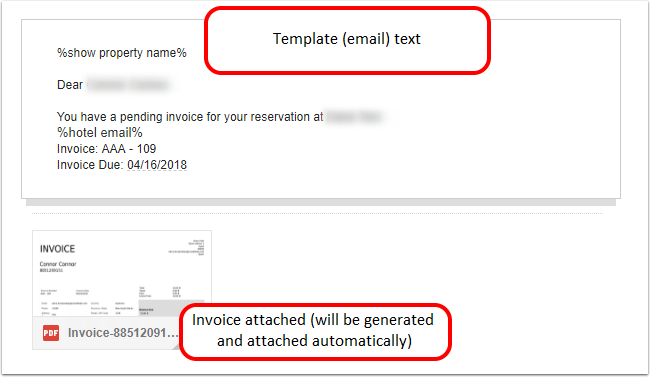 Let's say you want to have your company's name show up within an email template, you could write it all out each time you wanted it to be shown or you could use the merge tag [hotel name]. When your guest views the email your full hotel name will show up anywhere you've used that merge tag. 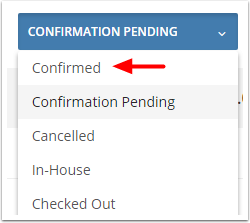 We also have merge tags that will automatically add confirmation numbers, cancellation numbers, and more. For a full list of available merge tags can be found here. NOTE: We recommend that you do not change the default merge tags but feel free to add new one's for your property's needs. 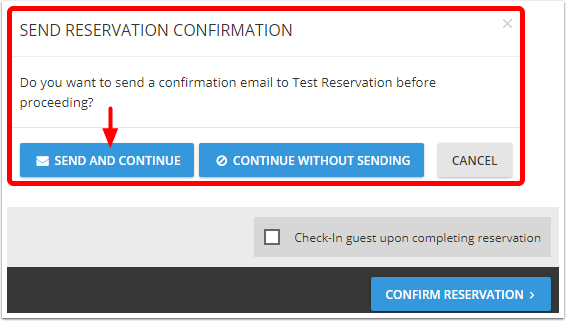 If you want to check how certain email template will be displayed for your guests, you may use 'Send Test' option. 1. Next to your email template click gear icon, then select 'Send Test'. 2. Enter the email where the message will be sent to. 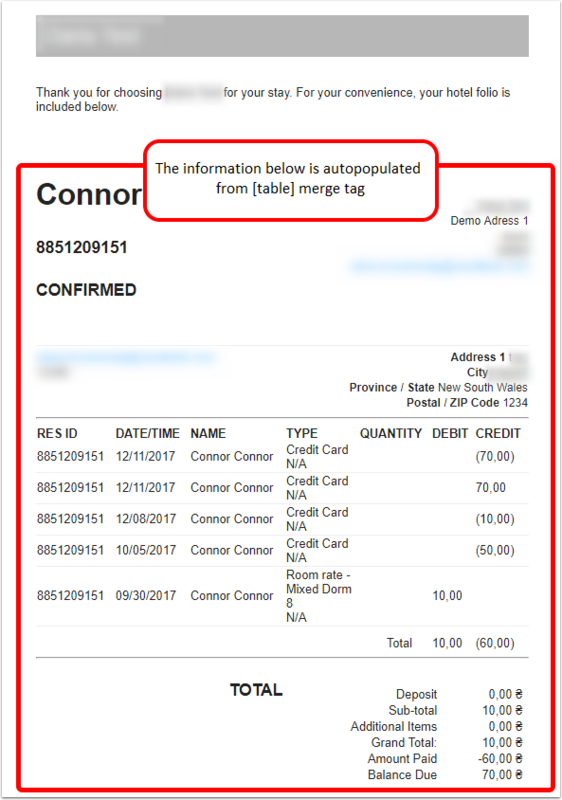 Important: if email template contains merge tags they won't display actual property and reservation data on the test email.